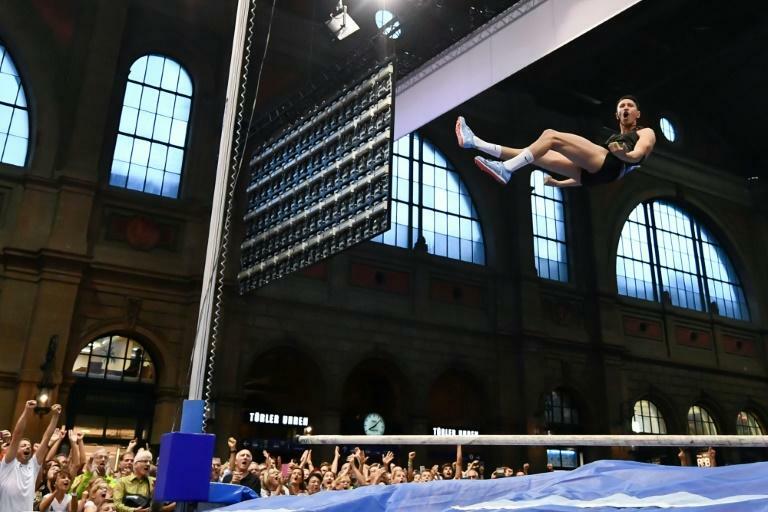 Russian pole vaulter Timur Morgunov landed an indoor personal best of 5.91 m on Wednesday at an exhibition event in Zurich ahead of the Diamond League final. The European silver medallist, who nearly impaled himself in the Diamond League meeting at Rabat, had a much better time of it at Zurich’s main station as the 21-year-old added a centimetre to his previous indoor best. Canada’s 2015 world champion Shawn Barber managed a season indoor best of 5.86m to place second while Australian Commonwealth Games champion Kurtis Marschall also managed 5.86m for his indoor personal best mark. World record holder Renaud Lavillenie could only manage fifth with a 5.81m effort which was matched by Poland's Piotr Lisek. Sweden's European champion Mondo Duplantis missed the event and will return to action Friday in Brussels.